The wedding niche is a $100 billion industry in the US alone and is ripe for ecommerce startups. In 2013, Shan-lyn Ma and Nobu Nakaguchi realized through their own experiences that they could not only improve on but literally reinvent the wedding industry, so they started Zola. 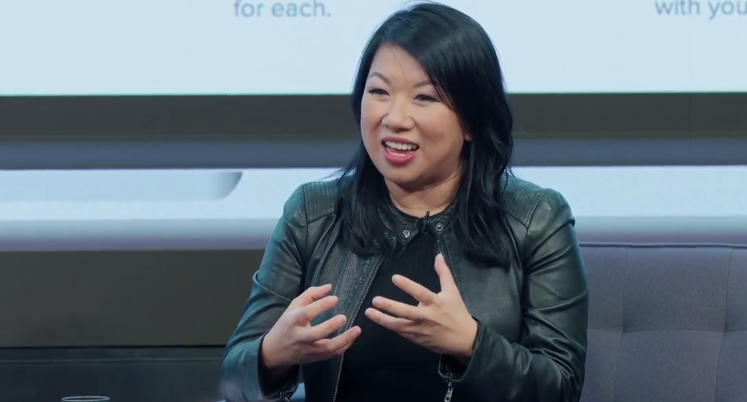 According to Shan-lyn Ma, Zola is the fastest growing wedding company in the US, with the goal of reinventing the wedding planning and registry experience. To date, it has received over $140 million in funding. Zola means love in the Zulu language. In 2013, which was the year that we were brainstorming was also the year all my friends got married at exactly the same time. I was shopping on a lot of my friend’s department store registries and finding that it was the worst ecommerce shopping experience I had ever seen. Talking to my co-founder Nobu Nakaguchi, he’s married and he was complaining about how painful it was from the couple’s perspective. We had worked in design and product and technology together building great products and so we knew we could do a much better job and we knew our friends getting married deserved a much better product. Before Zola launched a couple would have an average of three registries and Zola takes that down to just one registry. Last year we launched a second product called Zola weddings. That includes is free a wedding website, our guest list manager, and our checklist for all your to-do’s in order to plan your wedding. This was the number one request we were hearing from couples who were saying I love you for my registry, why can’t I just add a few more details about my wedding and I’ll make it my wedding website and then I’m done. Regarding how we pitched Zola to investors, it was harder to show that emotional connection to a problem and how the product sold this better than anything else. We focused on how is this business model is innovating how we are redoing retail and we had the numbers to show it and they absolutely got it. Weddings are a $100 billion industry in the US and globally it’s a $300 billion industry. When you think about it, weddings is one of the few industries remaining where we haven’t seen a dominant startup player or disruptor emerge to take the market. There’s no one that does everything that we do and there’s certainly no one that does it all on the website and on your mobile device serving every couple no matter who you are, no matter what your sexual orientation, no matter what you want your wedding to look like, or your religion. We are there to serve you and that is what is unique and that’s why we’re the fastest growing wedding company.